The late Bishop Michael D. Spires accepted Christ at an early age, which led to his preaching at the age of 17. Recognized as a true servant of the Lord, Bishop Spires accepted the awesome responsibility as Pastor of Church of Atlanta Lighthouse, Inc. in 1972. With God’s divine intervention, a congregation of 15 members grew to well over 1000. Having the heart of a true pastor, teacher, evangelist and missionary, Bishop Spires proclaimed the gospel of Jesus Christ internationally for over 40 years. In 1992, he was set into the office of Bishop. 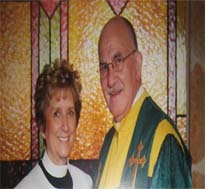 As Bishop, he established Lighthouse International Ministries and more than 20 ministers affiliated their ministries with Lighthouse International Ministries, Inc.
Bishop Michael D. Spires was married to Pastor Doris Spires for over 50 years. They have two daughters, Sheri and Robyn and 4 wonderful grandchildren (Alejandro, Caleb, Aaron and Allison). 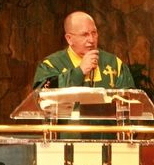 Pastor Spires also served at the Church of Atlanta Lighthouse. Beginning in 1972, she served as the Secretary & Treasurer and the youth director in which she saw much spiritual growth in the youth. Many are now in Ministry and still going forth in God.  She founded L.I.F.T. (Ladies in Fellowship Together) in 1996 where she encouraged women to meet and share Sister to Sister. 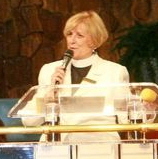 In 2002, Bishop Spires ordained Pastor Doris as senior Pastor. She served in that capacity for 15 years before retiring and relocating to South Carolina. She continues to love God and God’s people and still has a burning desire to see people blessed both naturally and spiritually. Her daily prayer is to continue allowing God to use her to bless others. In August 3, 2008, Elder Tim McKibbins was set in the Office of Pastor where he is leading Church of Atlanta Lighthouse into the future.